Nickel, Iron & Cobalt-Based Alloys and Super alloys, Stainless Alloys, Specialty Steels, Titanium & Titanium Alloys, Niobium, Manufacturers, Suppliers to serve in Oil & Gas, diffrent type of industries from Mumbai, India. The world's need for energy is taking oil and gas producers to places that are more remote and more challenging than ever before. 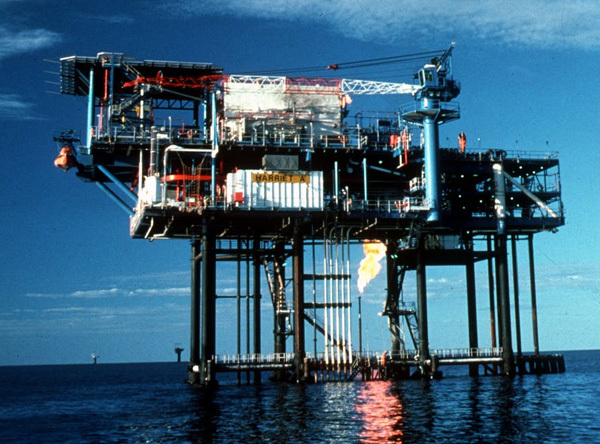 Our broad range of specialty materials and engineered solutions, as well as our established supply chain, position us uniquely to help oil and gas companies reach farther and solve engineering challenges in the most severe environments. Our high performance specialty material solutions for exploration and production applications can offer corrosion and environmental cracking resistance as well as reduced component weight. In some of the deepest parts of the oceans, Calico provides high strength, corrosion resistant material solutions for flow lines, risers and control lines. Calico materials are also relied on in critical subsea wellhead and completion components. In downhole operations, Calico breakthroughs are helping companies create sophisticated directional drilling tools that thrive in the most severe drilling environments to reach reservoirs once considered too challenging to develop. From specialty materials and forgings, to finished machined components, Calico offers solutions to the most challenging problems facing the oil & gas industry. Calico's integrated capabilities—and our control of the supply chain—make us uniquely positioned to deliver for our oil ​& gas customers. Coupled with our investments in manufacturing capacity, Calico Oil & Gas is a partner our customers can count on to deliver quality product on time, every time. Calico Oil & Gas is committed to advancing the use and application of cutting-edge specialty metals in the Oil & Gas industry. Our Resources section is designed to share relevant information, data and additional depth on our products and services.